Few people may be aware of the multifaceted life of Nevil S Norway, better known as Nevil Shute, a popular novelist of the latter half of the last century. Born on 17 January 1899 in Ealing, a suburb to the west of London, Nevil Shute Norway was the younger son of Arthur Norway and his wife Mary (nee Gadsden). Arthur Norway was a senior civil servant in the General Post Office in London. At the age of 11, Nevil, tormented by the unsympathetic responses of both pupils and teachers to his unfortunate bad stammer, played truant from his first preparatory school in Hammersmith, preferring the mechanical challenges posed by the steam engine and model aircraft displays at the Science Museum in South Kensington. He was especially captivated by the engineering and mechanics evident in the Blériot and Antoinette aircraft of the period. As a result of his truancy, he was moved to the Dragon School in Oxford, where he developed extramural interests in sailing, motorcycle engines and aeroplanes, and thence to Shrewsbury School in 1913. In 1912, his father was transferred to Dublin, Ireland as Secretary to the Post Office (the highest position in the Post Office), and Nevil remained with friends in Oxford to finish his schooling. Nevil and his older brother Fred shared a Rudge Multi motorcycle bought new in 1914, a month after the Great War commenced. Less than a year later, 19-year old Fred was seriously wounded in action in Flanders, dying of his wounds three weeks later. Later, as a 17-year old lad, while visiting his family in Dublin during the time of the Easter Rebellion in 1916, Nevil was a volunteer stretcher bearer, and witnessed some of the action at close hand. The St John Ambulance Society later presented him with a commendation for gallant conduct. He joined the Royal Military Academy in 1918, with the aim of being commissioned into the Royal Flying Corps, where he trained as a Gunner for nine months, but his bad stammer led to him failing the final medical examination. This was at the time when the Royal Flying Corps ceased to be part of the army and became the Royal Air Force (RAF). Despite his best efforts, he never managed to get into the RAF, and in August of 1918 he enlisted in the infantry, and for the last three months of the war he mounted guard duty at the Thames Estuary. After demobilization, to pursue his passionate interests in the field of aviation, Nevil spent an uneventful three and a half years studying Engineering at Balliol College, Oxford, graduating with third class honours in 1922. During the vacations, he was very fortunate to perform unpaid work at the fledgling de Havilland Aircraft Company at Hendon, working mainly as a junior assistant in the design office and performing and reporting on tests undertaken in the wind tunnel. He started regular, paid work with de Havilland's at their new factory in Stag Lane, Edgware, London in January 1923, working on the calculations for a variety of early aircraft and flying as a test observer in them. Later that year, he also learned how to fly at the company's flying school in a Renault Avro, paying for his own tuition, and he passed the Royal Aero Club tests for his flying certificate in 1924. Thereafter, Nevil also performed duties as a test pilot for de Havilland's on numerous occasions. It was during this period that he started writing poetry in his spare time, moving on to producing novels, many of them to become best sellers. He finished his first novel in 1923, and his second in 1924, both unpublished. He was not terribly pleased with either. In great demand as an aeronautical engineer, he left de Havilland's late in 1924 to take up a position as Chief Calculator with the Airship Guarantee Company, a subsidiary of Vickers Ltd, to work on the design and construction of a very large airship, the R100. When the first Labour government came to power in England in 1923, a Cabinet Committee issued a bizarre decree that the state-owned Air Ministry at Cardington and Vickers Ltd would each build an airship of a certain size, loadcarrying capacity and speed, in order to determine whether capitalism or state enterprise was the better principle ! The civil servants at the Air Ministry designed and built the ill-fated R101 airship. In 1929 Nevil became the Deputy Chief Engineer of the Airship Guarantee Company under (Sir) Barnes Wallis (who was to become famous for the geodesic design of the Wellington bomber, and his "bouncing bombs" used in the May 1943 Dam Buster raid on the Möhne, Eder and Sorper dams in the Ruhr region of Germany during the 2nd World War). While working on the design and construction of airship R100, in order to give his mind a rest from his demanding work, Nevil started writing his third novel in the evenings, to be his first published work, "Marazan", under the nom de plume of his Christian names, Nevil Shute. This also allowed him to pursue a very successful career and a sound reputation as an aeronautical engineer, Mr Nevil Norway. His second novel, "So Disdained" followed, taking two years to write. The R100 airship was as big as an Atlantic liner, being 709 feet (216 metres) long and 130 feet (40 metres) in diameter, and was fitted with 6 Rolls-Royce Condor petrol engines of around 700 horsepower each, enabling her to reach a phenomenal top speed of eighty-one miles per hour. The R100's fourteen gasbags had a capacity of a little over five million cubic feet (146 000 cubic metres) of hydrogen, giving her a gross lift of around 156 tons; her tare weight was about 102 tons leaving about 54 tons available for fuel, ballast, crew and passengers. The government's R101 airship, on the other hand, was fitted with much heavier diesel engines and had a gross lift of only 148 tons and a tare weight of 113 tons, leaving only 35 tons of useful load capacity. The R101's maiden flight was on 14 October 1929 and that of R100 two months later, on 16 December 1929. On 29 July 1930, R100 departed, with Nevil on board, on its intercontinental flight from Cardington for Montreal, Canada. After an uneventful, but highly successful flight, it moored to a mast at St Hubert airport, Montreal, only 78 hours after departure from Cardington with 5 tons of fuel to spare, covering about 3300 land miles at an average speed of 42 miles per hour. The airship R100 commenced its return journey (again uneventful) to Cardington on 13 August 1930, reaching its destination on 16 August after only 57½ hours. She was never to fly again. In contrast, the government's R101 airship was hastily scheduled to make its intercontinental flight to India, departing on 4 October 1930, and met very bad weather over France. Tragically, she crashed and burst into flames at Beauvais on the next day, after flying for only seven and a half hours, killing 48 of the 54 passengers and crew on board, including Lord Thomson, then Secretary of State for Air. Nevil ascribed the tragedy mainly to incompetence of the civil servants who designed and built her; there were no independent design checks, and her flight trials were not professionally conducted. It was officially concluded that the disaster was caused by a large tear suddenly occurring in the outer cover of the forward gasbag. Nevil contends this may have been due to tapes stuck to the inside of the gasbags for strengthening, for which rubber solution had been used as adhesive; the rubber solution reacted chemically with the dope applied to the fabric, rendering it friable. "I am very willing to recognize the good in many men of these two classes, but a politician or a civil servant is still to me an arrogant fool till he is proved otherwise". The disaster to airship R101 marked the end of the airship industry in England, and the focus shifted to the development of the aeroplane instead. Consequently, all the airship staff, including Nevil S Norway, of the Airship Guarantee Company at Howden were retrenched at the end of 1930. All this happened at the start of the Great Depression when Nevil was engaged to be married to a young doctor at York Hospital, Frances Heaton, ultimately leading him to start his own small aircraft manufacturing company, Airspeed Limited, with risk capital of only five thousand pounds. At the end of April 1931, Nevil became joint managing director of Airspeed Ltd, operating from a rented half of a bus garage in Piccadilly near York. Initially, the company started making gliders (the Tern) to generate some turnover fairly quickly, followed by a biplane christened the Ferry, powered by three de Havilland Gypsy engines, of which it seems about four were eventually sold. 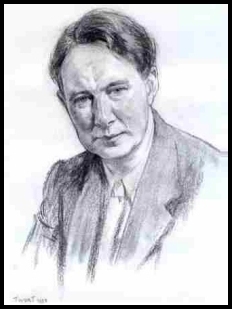 In 1931 he married Frances Heaton and by the middle of that year Nevil had finished writing yet another novel, "Lonely Road", which was to be his last for the next five years, since he was totally absorbed in running Airspeed Ltd. Increasing orders led to the company moving from York to Portsmouth in March 1933, and a new aircraft, the Courier, the first aircraft with retractable undercarriage to be produced in England, was successfully designed, built and tested. This aircraft had an Armstrong Siddeley Lynx engine capable of about 240 horsepower, reaching a maximum speed of 163 miles per hour with six persons on board. This was soon followed by a twin-engined version called the Envoy, initially powered by Wolseley radial engines of about two hundred horsepower. Nevil was elected a Fellow of the Royal Aeronautical Society in early 1934, and Airspeed Ltd became a listed company in July 1934 with a substantial capital injection of £100 000 from public investors. In the beginning of 1936, the South African Railways placed an order for seven Envoys as civil aeroplanes, but to be readily convertible for military purposes. In July of 1936, the Spanish civil war started and Airspeed Ltd sold their entire stock of unsold Couriers and Envoys, never to be seen again. Unexpectedly, in September of 1936, as England was re-arming in preparation for war, Lord Nuffield stopped all production of Wolseley radial engines in protest against Air Ministry bureaucracy. This was a severe blow to Airspeed Ltd as all their aircraft in production at the time were powered by Wolseley engines. Fortunately, however, in October 1936, the Air Ministry placed an initial order with Airspeed Ltd for 136 Airspeed Oxford trainers, based on the Envoy, which was to become the standard twin-engined training aircraft of the British Commonwealth during the war. In 1937, at the peak of its existence, Airspeed Ltd was honoured to produce an Envoy for the personal use of King George VI and the Royal Family. Ultimately, a total of about 9000 Airspeed Oxford trainers were produced, of which almost 5000 were manufactured by Airspeed Ltd. In 1936, a film was made of "Lonely Road" creating an interesting and lucrative diversion for Nevil, to the extent that he began to write again, later publishing "Ruined City". By this time, he and Frances had two daughters; Heather, aged five, and two year old Shirley, and he was losing interest in Airspeed Ltd. Eventually, in April 1938, his tenure with Airspeed Ltd was terminated with a generous settlement from the Board, and he resolved to quit the aircraft industry and turn to writing for a living (especially after the film rights to "Ruined City" were sold for a tidy sum). At the outbreak of war in September 1939, Nevil joined the Royal Navy Volunteer Reserve as a Sub-Lieutenant in the Miscellaneous Weapons Department, where his job for four years was to "produce experimental weapons for the changing needs of war", later rising to the rank of Lieutenant Commander. As a celebrity author, he was invited to participate in the Normandy landings on 6 June 1944 with the Eastern Task Force, writing a gripping account of the event for the British Ministry of Information. After the war, he devoted all his time to writing and, in 1948/9 he undertook a journey of epic proportions that provided inspiration and experience for a number of his later novels, including "A Town Like Alice", "Round the Bend", "The Far Country" and "In the Wet". Accompanied by an author friend, James Riddell, he flew a single-engined light aircraft (Percival Proctor V, wood frame, 4-seater, de Havilland Gypsy Queen II engine) from England all the way to South East Asia and Australia, and ultimately back to Europe (landing in Brindisi, Italy), a trip of 35000 miles that lasted six months. In 1950, disillusioned after the Labour government were elected back into power, he and his wife and two daughters emigrated to Australia, eventually settling at Langwarrin, 30 miles south of Melbourne, farming about 130 acres with dairy cattle and pigs. As a new country rapidly developing its own resources, he found Australia very stimulating from an engineering perspective, and considered himself more an engineer than an author. His definition of an engineer appears as a quotation of unknown origin in "Trustee from the Toolroom" and in his autobiography: "An engineer is a man who can do for five bob what any bloody fool can do for a quid." Nevil Shute Norway was also an accomplished model engineer, and a member of the Melbourne Society of Model and Experimental Engineers at the time of his death. His model engineering interests are reflected in the novel "Trustee from the Toolroom", in which it is said he based the leading character (Keith Stewart) on Edgar Westbury of "Model Engineer" (ME) renown. He was also a builder of numerous models from the pages of Model Engineer, some of which are described and illustrated in volume 129, issue No. 3238 of ME dated 27 January 1949, including a 1/8 hp horizontal singlecylinder Stuart engine (extensively modified), and a Stuart Double-10 steam engine. His Australian workshop was well-equipped with a Myford Super 7 lathe, a bench drill and an Adept No. 2 power operated shaper. In an article in volume 121, issue No. 3038 of ME, Nevil Shute describes his workshop as crowded, mentioning the Adept No. 2 shaper driven by a long belt off the countershaft of his Myford Super 7 lathe, which he subsequently fitted with a Norton gearbox. He also described the modifications he made for the very satisfactory conversion of the shaper to a power hacksaw running at 100 strokes per minute. At the time of his death he was busy building a 30cc "Seal Major" four-cylinder petrol engine, largely in accordance with Edgar Westbury's instructions in ME volumes 96 and 97. Nevil was also a keen sailor, enthusiastic fisherman, and even a racing driver for a few years before his death, all experiences he drew upon in writing his captivating novels. He purchased a white Jaguar XK140 SE roadster in 1956 which he raced until 1958, using the experience gained to complete his 1957 novel, "On the Beach". A truly remarkable man, Nevil Shute Norway's contribution to society has been enormous, both in his early outstanding technical achievements as an aeronautical engineer, as well as latterly in his prolific literary achievements, bringing pleasure and enjoyment to almost four generations of grateful mankind.